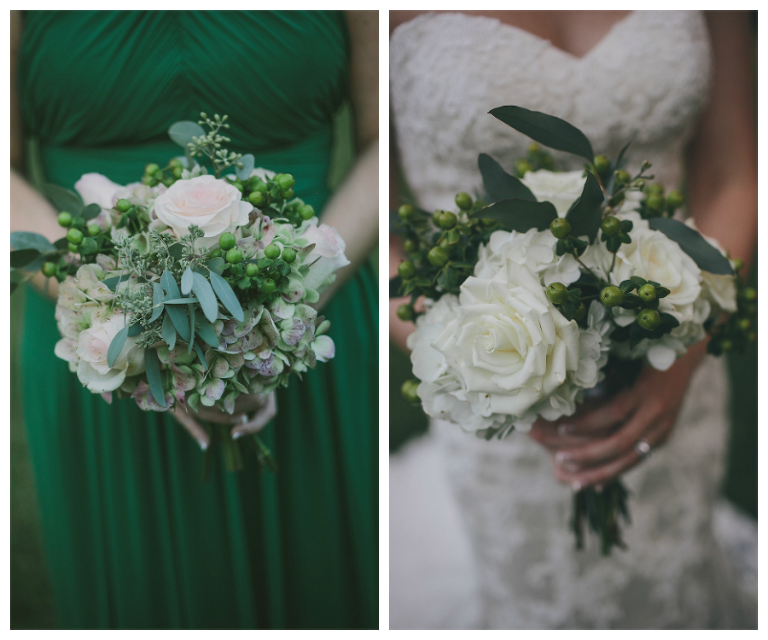 Heather and Chris’ rustic, Sarasota wedding featured natural surroundings and a neutral color palette with a pop of color. The Sarasota couple chose one of the bride’s favorite childhood locations for their ceremony and reception venue. “The venue is owned by my grandparents and is definitely one of my favorite places to be. I spent a lot of time on those five acres as a child. It has such a gorgeous natural feel that invites you to relax,” the bride reminisced. The pair focused on creating a relaxed and loving environment for their wedding guests. “My husband and I wanted all of our guests to feel at home with us,” Heather shared. “We wanted to have a comfortable and stress-free environment that allowed them to really enjoy the celebration. What was the inspiration for your bridesmaid dresses? 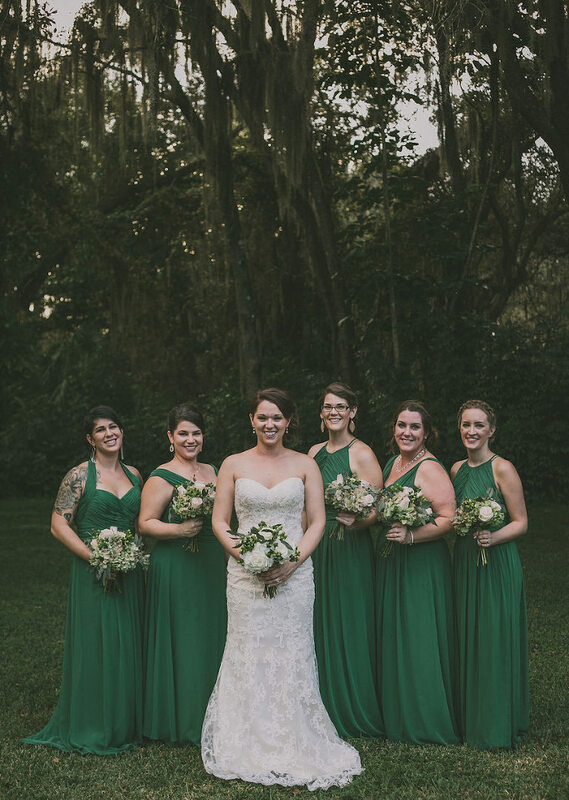 My favorite color is green, so I knew I wanted to incorporate that somehow in my bridesmaid dresses. When I was on Pinterest I saw the color emerald and immediately fell in love with it. Being that my wedding was in November, I knew I didn’t want a short knee length dress, even though the girls were going to wear cowboy boots. I also wanted the girls to be comfortable in the dress. Each of them have such different body types, so I thought it would be best for them to pick out what style of dress would suit them. I chose Bella Bridesmaid based on a recommendation from my youngest sister, Christie, who was one of my maid of honors. We had a great experience. The staff was very kind and knowledgeable about the dresses. 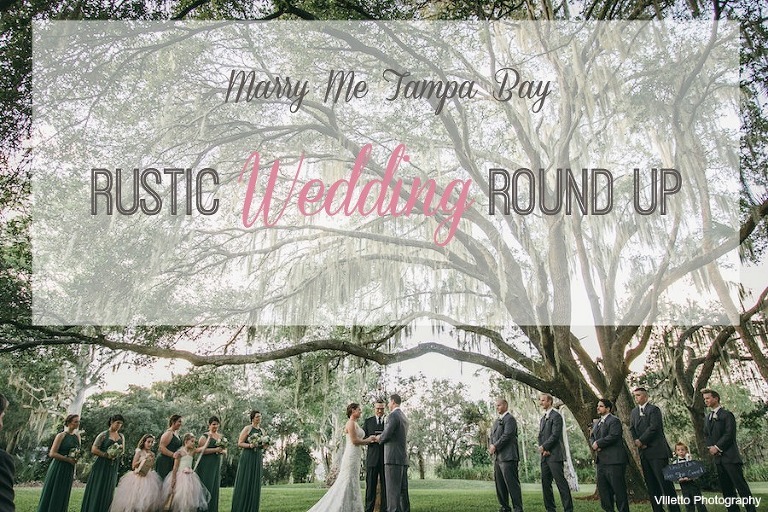 April and Spencer’s rustic, outdoor Tampa Bay wedding featured a lakefront ceremony and barn reception. “Our theme was country casual. We like natural fabrics and country music,” the groom explained. The pair chose Tampa Bay wedding venue The Barn at Crescent Lake to host their big day. 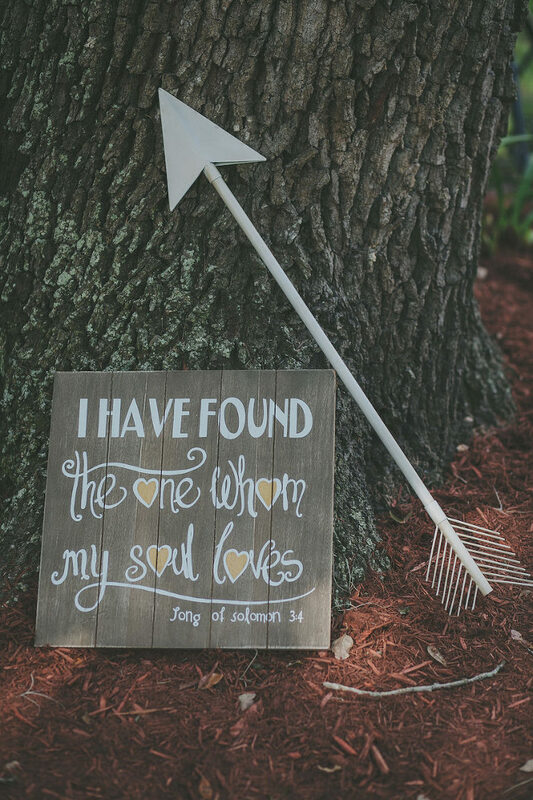 With the help of their Tampa Bay wedding planner, Blue Skies Events, the pair hired all of the vendors and stayed on task. “We looked for a [a planner] who understood what we were looking for and was organized,” the groom stated. Along with the overall atmosphere, keeping their guests well fed was a top priority to the bride and groom.